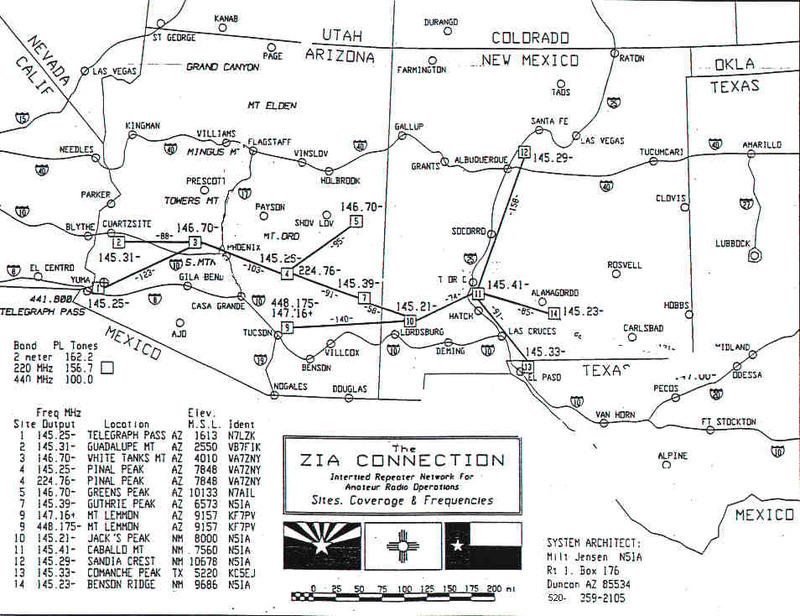 The ZIA Connection was a system of linked repeaters, dedicated to full time linked service. It was an open system, available to all amateurs on a continuous 24 hour per day basis. The only time that portions of the system would be unavailable is for reasons of technical difficulty, or if your local input repeater were removed from the link in order to take care of a local disaster of extreme proportions. 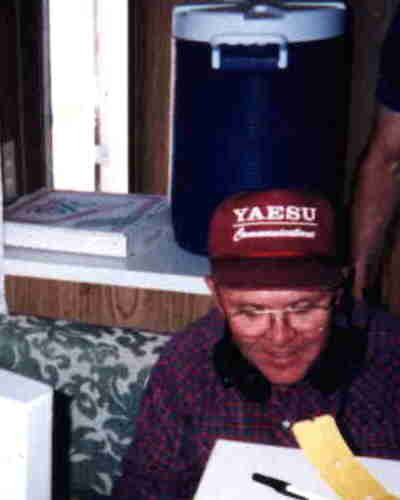 Control of the individual repeaters and the link transceivers at each site were the responsibilities of the owner of that particular repeater and his designated control operators. There was no control, via the links, of the other repeaters in the system. Ownership of the repeaters and the link radios in most cases was private, and therefore beyond the political control of any group. If a club or other group desired to make their repeater a participating station in the system, the operational criteria, technical standards, and characteristics of the system had to be met and adhered to. The system operated as if it were one "super repeater" with very wide area coverage, and no area had preference over another. Operationally, the system was no different than if you were working through a single repeater. The repeaters had their individual time out settings, but were matched as closely as possible. If you timed out your local input repeater, the balance of the system would continue to operate in a normal manner. The link transmitters were not timed with the repeater, nor was the repeater timed from the links. The only identifier that could be heard is the local ID. The ID's of the link transmitters were notched out before being repeated over the repeater talkback After unkeying into a repeater, most of the repeaters would have a courtesy tone beep at about 1 second into the carrier delay. This was a reminder to allow time for other stations to break in. The dropout time from one end of the system to the other were on the order of 200 milliseconds, so it would be difficult to tell which repeater a station is inputting to the system from. You wwould not hear a series of squelch bursts. The pickup time on the system was approximately 300 milliseconds. So after keying your transmitter, make it a habit to wait about 1/2 second before talking. The Zia Connection linked repeater system operated in a full duplex mode. This means that signals could go both ways on the link at the same time. Operationally this was very desirable, as it allowed instant breakin and prevented doubling with another station, if the users were operating their own station in a duplex mode. For most operators this would involve having another reciever (scanner or another transciever) connected to another antenna, so as to be able to monitor the output of the repeater while talking into it. Most of the repeaters in the system were privately financed. This involves a tremendous amount of time and capital outlay. Also there was the continued expense for power , site fees, equipment repair, and trips to the mountain tops. Anyone desiring to participate in any way should contact Milt personally. There are ways most anyone can be of help. Thank you for your interest, and enjoy your operating. < What did all this cost?